My sister saw this idea. I don't know where she read about it. These were a big hit with the kids. The loved eating the sprinkles! These were very easy to make. They could be altered for any holiday. Dip a strawberry in the white chocolate. 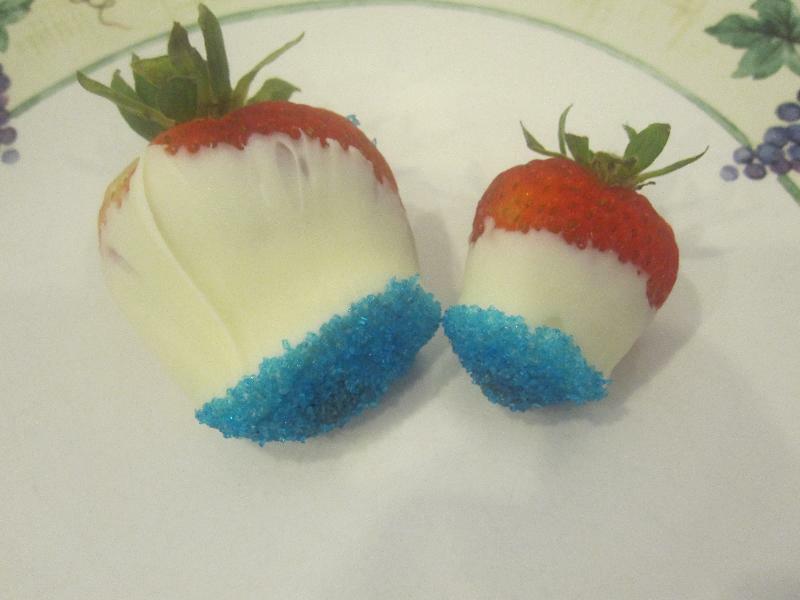 Immediately dip the tip of the strawberry in the sprinkles. Place on wax paper. Place in the fridge until ready to eat.